My first blog post after coming home from an incredible life changing conference I went to last week was going to inspire me to write eloquent encouragement to you. I thought I would share how God inspired me to inspire you to live a better life...not rock my whole world in the way that He did. I went to this conference thinking it would make me a better writer, speaker and encourager of the digital word over this blog. But instead I came home with a heart for ministry in MISSIONS! What?! I came across an organization called Fashion and Compassion while I was in North Carolina. They help provide sustainable income for women all over the world who are refugees or victims of abuse and trafficking along many other atrocities. It helps to restore dignity to these women's lives. Instead of prostituting themselves, working back breaking labor or starving to death...it provided the income to put clothes on their body and food in their bellies. Something I never realized I take for granted every day! They employ men and women in places like Uganda, Burundi, Honduras, Ecuador and even here in the states to make jewelry, metal and leather-work. What I love most about this ministry is that every piece of jewelry...EVERY PIECE has a tag with where it was made, the hardship in that area and the NAME of the woman that made it! Yea, you heard me right...I now get the privilege to pray over that very person who created the bracelet I wear around my wrist and the necklace that hangs around my neck. It truly humbled me. So in the midst of hearing about this incredible ministry and soaking in the presence of God at this conference, guess what my reading material was at the hotel? 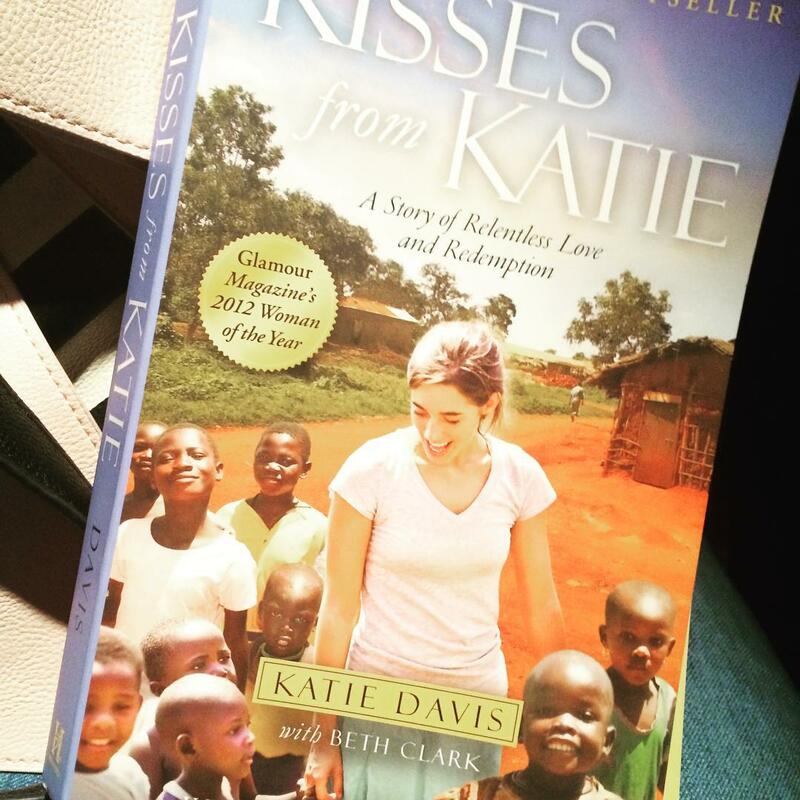 Kisses From Katie by Katie Davis. I picked it up at a Barnes and Noble before I left for my trip, thinking it would be a good read. The conviction that flew off of the pages and the Holy Spirit's presence I felt when I read it was dripping off the book. Wow! I don't know of any other nineteen year old girl that would move to Uganda and leave her family and college behind to pursue their calling to love on this country's people. Not only that, she adopted 13 children! That's right 13 little girls! Can you imagine? Read the book and those pages will take you on an incredible journey you won't soon forget. So I looked up her ministry called Amazima. She helps the children there receive medical care, school tuition, supplies and meals to some of the poorest in that area. Oh and it's a Christian school so she is able to tell them about Jesus! So after emptying most of my bank account on buying jewelry in support of these ministries... it wasn't enough. I had to do more and my passion rubbed off on my children and husband too. So I decided to start a fundraiser and 100% of the profits will be divided evenly among these two incredible non-profits. It will peak at the end of this month with a garage sale I will be hosting at my house Aug 21 and 22. The fundraiser runs from now to August 24. Our goal is to raise $1000. Would you help us give back? In a season where we are all rushing around to buy school supplies, clothes and such, I ask you to think about giving back to those with NOTHING. Why do I call it giving back? Because God has given us so much. We were meant to be rivers, not reservoirs. What God fills us up with, we are meant to pour back out. No gift is too small. Please share this with your friends also. Instead of the usual song at the end of this blog, I will leave you with a video from Fashion and Compassion so you can hear firsthand from these women. Be inspired to let God interrupt your life today! "We are meant to be rivers, not reservoirs!" Love this!! Help me to pour back out Lord.